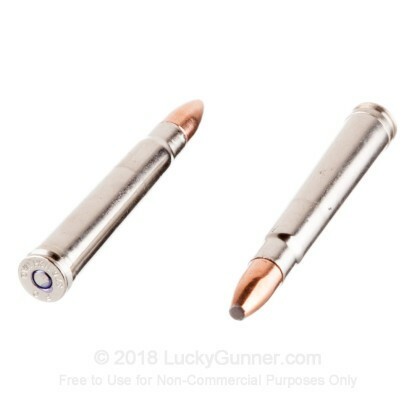 Invented by the English company Holland and Holland, the 375 H&H Magnum is a powerful hunting round. Not only can it take down all the game of North America, but it is also great choice for big game of the African safari. With the incredible power and versatility this round provides, you have everything you need in a big game round. Since 1922, Federal has garnered respect all across America. When you experience the quality of Federal, you will know why they are one of the most loved manufacturers in the nation. All of Federal's products are loaded with high quality components in the USA. 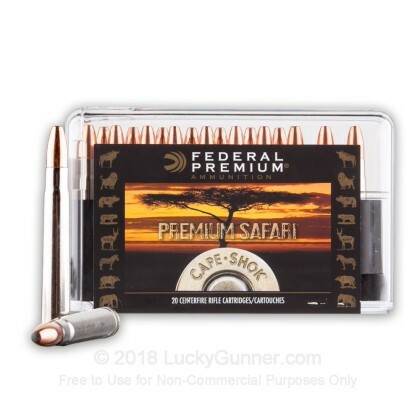 These 300 grain Swift A-Frame projectiles loaded in Federal Cape-Shok rounds are designed to take on the dangerous game of the African plains. 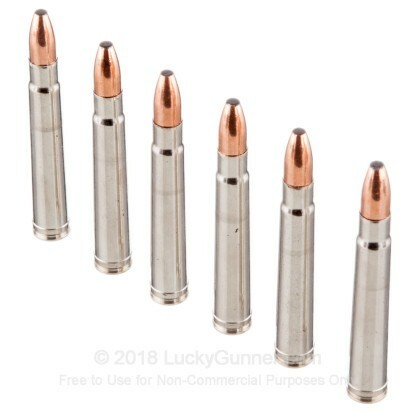 With these massive, incredibly powerful, soft point rounds, you have the deep penetration and deep controlled expansion required to punch through thick skin and dense muscle tissue. 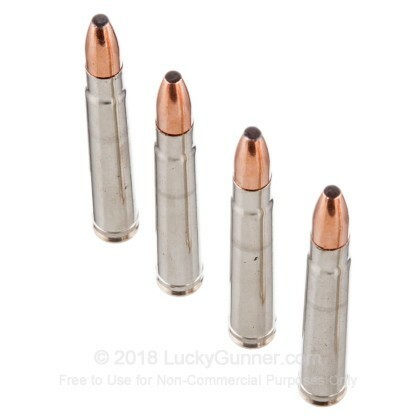 Pick up a 20 round box today! 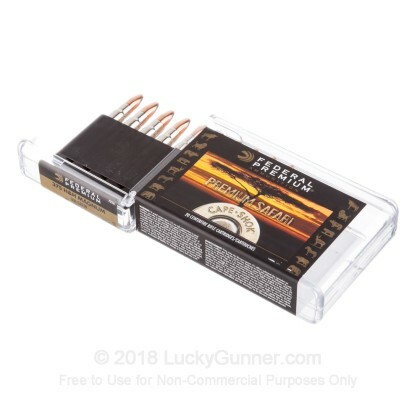 We don't have any reviews yet for this particular .375 H&H Magnum ammo from Federal. 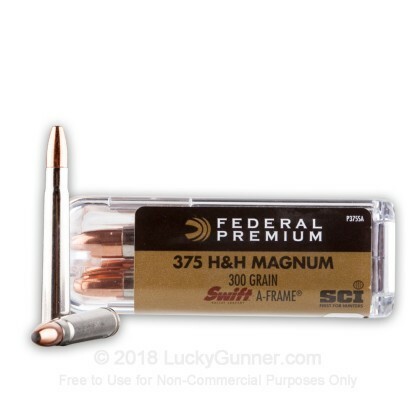 If you'd like to be the first to review this particular .375 H&H Magnum ammo from Federal, fill out the form below.